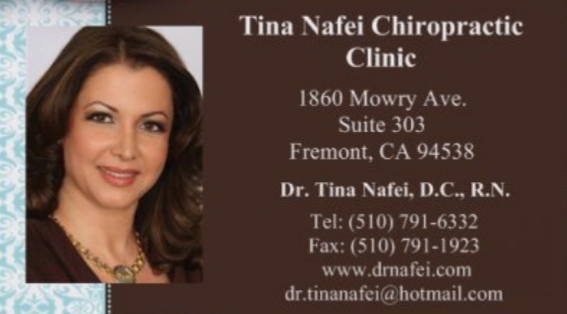 Dr. Tina Nafei,D.C., R.N., brings 22 years of nursing experience coupled with 16 years as a Doctor of Chiropractic. Dr. Tina has worked in the most difficult war time environments, treating civilians and military alike. Her broad knowledge of traumatic injuries and being a certified Industrial Disability Evaulator brings a well rounded expertise to her facility.